The Conjoint Committee for Recognition of Training in Interventional Neuroradiology (CCINR) was formed in 2014 to develop and monitor guidelines for certification of training in interventional neuroradiology (INR) in Australia and New Zealand. 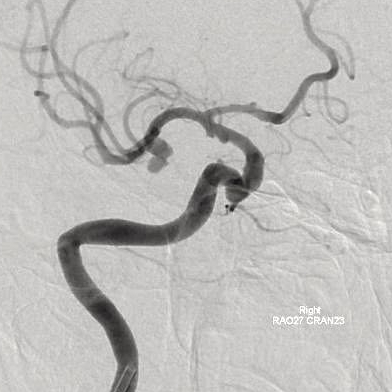 CCINR has equal representation from the three groups performing endovascular neurointerventional procedures in Australia and New Zealand - interventional neuroradiologists, neurosurgeons and neurologists. CCINR is supported by the three Peak Bodies relevant to these subspecialties. These are the Australian and New Zealand Society of Neuroradiology (ANZSNR), the Neurosurgical Society of Australasia (NSA) and the Australian and New Zealand Association of Neurologists (ANZAN). CCINR has the responsibility for developing Guidelines relevant to certification of training in INR, the assessment of applicants from ANZSNR, ANZAN and NSA seeking certification of relevant training and experience, and the maintenance of the Register of INR practitioners who have been certified under these Guidelines. INR is the term used in Australia and New Zealand to describe medical sub specialists who use image-based minimally invasive techniques to diagnose and treat intracranial, spinal and head and neck diseases. INR stands for interventional neuroradiologist, but as the subspeciality includes neurosurgeons and neurologists as well as radiologists, the contraction INR is usually preferred. In other countries other terms may be favoured, such as NI (Neurointerventionist). INR is also used to refer to the practice as well as the practitioner (interventional neuroradiology). There are a number of synonyms used elsewhere (Endovascular Surgical Neuroradiology [ECN], Minimally Invasive Neurosurgical Therapy [MINT], Neurointerventional Surgery [NIS]) but they all refer to the same subspecialty practice. For the purposes of the CCINR guidelines the term INR is taken to be synonymous with terms used elsewhere to describe both this work and the appropriately trained practitioners who practice in this subspecialty. The Australian Government Department of Health has added a Medical Benefits Schedule item for mechanical thrombectomy from November 1st 2017. 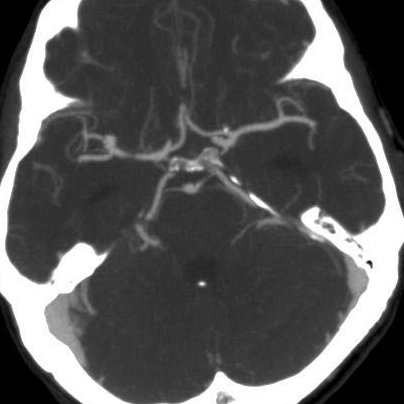 The item (35414) may only be claimed where the service is performed by a specialist consultant physician with appropriate training recognised by the Conjoint Committee for Recognition of Training in Interventional Neuroradiology, in an eligible stroke centre, where the diagnosis is confirmed by an appropriate imaging modality. The INR guidelines ("Guidelines for Recognition of Training in Interventional Neuroradiology") are available to view on this site. These guidelines have been developed over the last 4 years by expert specialists currently performing neurointerventional procedures in Australia and New Zealand. They draw on evidence for best practice, patient safety and care from around the world, and from guidelines from other leading international specialist societies - for example the UEMS Standards of Practice in Interventional Neuroradiology, backed by the European Society of Minimally Invasive Neurological Therapy (ESMINT). They have been fully ratified by ANZSNR, ANZAN and the NSA. The CCINR are charged to keep the guidelines under regular review and consider any changes which may become relevant as practice evolves. The guidelines were reviewed in 2017 and minor changes suggested (see guidelines page). These changes were discussed by each of the parent bodies (ANZSNR, ANZAN, NSA) as well as RANZCR Faculty Council and accepted in 2018. The CCINR guidelines set out what is required in order for an individual to apply to be recognised as an INR specialist in Australia and New Zealand. The formal training and experience needed to become an INR specialist is described, as well as the requirements to maintain competency of practice. The guidelines indicate what information a specialist INR will be asked to supply to CCINR in order to be included on the Register of INR practitioners, and also the requirements for maintenance of competency to practice. INR practitioners who meet the requirements of the Guidelines will be placed on the Register of INR practitioners for three years, after which they will need to re apply. Experienced INR practitioners in Australia and New Zealand who have satisfied CCINR with regard to their training, experience and currency in INR procedures are included on the Register of INR practitioners. The application process for recognition of INR Training can be accessed via the Application page.